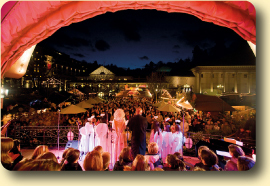 The internationally acclaimed spa and festival city, in the beautiful legendary Black Forest hills, will have a very special atmosphere with its Baden-Baden Christkindelsmarkt, against the commandingly picturesque backdrop of the Kurhaus and the colonnades lit up by thousands of lights in the heart of the festively decorated old town. 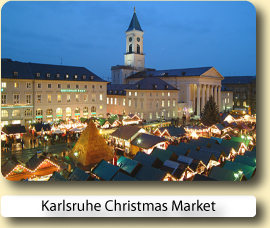 The Baden-Baden Christmas Market is not only a good meeting point, but also a place to celebrate the pre-Christmas period where people can get together and enjoy a glass of glühwein or punch. A variety of choirs, orchestras and bands will be performing daily on the stage in front of the Kurhaus to put the visitors from around the world in the Christmas mood. In keeping with tradition the Christ Child will appear on the stage attended by numerous little angels for the ceremonial opening setting the mood for visitors to Baden-Baden in the run-up to Christmas – entrancing both young and old with a very special winter’s tale, with the scent of cinnamon, almonds and gingerbread. On 6 December St. Nicholas will float to the ground in a hot-air balloon, directly in front of the illuminated Kurhaus, where he will be handling out presents to the children. 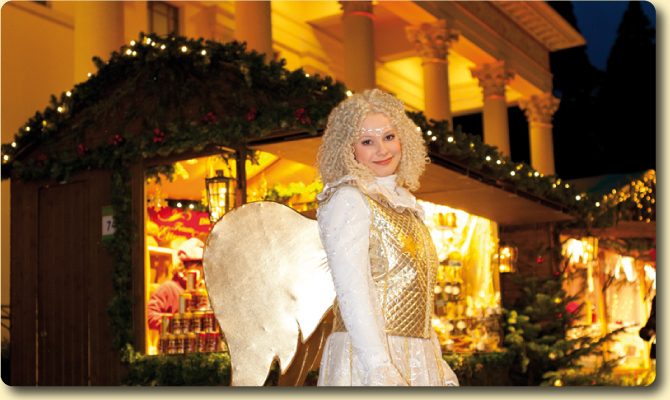 As well as carousels for the children, visitors can expect a rich offering of Christmas arts and crafts from the about 100 stalls as well as in the exclusive boutiques in the Kurhaus Colonnades. 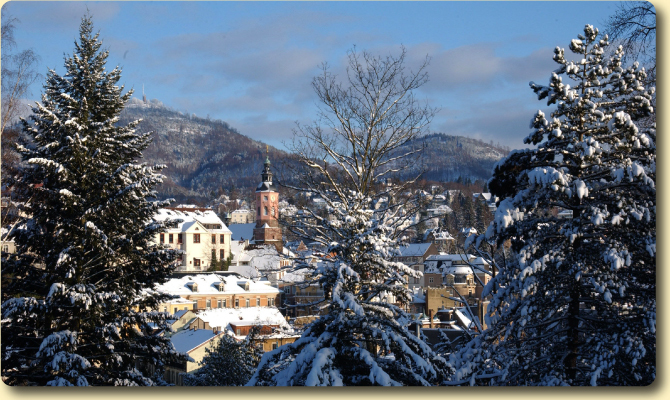 A particular attraction of Christmas in Baden-Baden is the ”living crèche”. The sound of bleating sheep and the scent of fresh hay will lead you to the idyllic life-sized crib in front of the Kurhaus. Before or after wandering through one of the most delightful of all German Christmas markets, you are recommended to take a stroll through the festively illuminated old town part of the city with its chic boutiques and elegant shops where you’ll be able to find all those unusual presents that you’ve been seeking for so long. Beautifully decorated, the 2000 year old city and especially the Christkindelsmarkt attract people from all over the world. 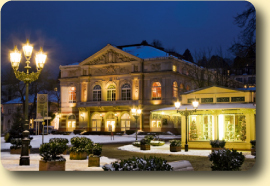 The elegant health resort of Baden-Baden has enjoyed an international reputation since at least the year 213 AD, when the Roman Emperor Caracalla arrived to take the waters. The establishment of the world famous Casino in 1838 added a new dimension, and Europe’s royalty and nobility flocked here, along with such eminent writers and composers such as Mark Twain, Balzac, Turgeniev, Dostoyevsky, Berlioz and Brahms. 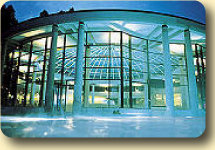 Modern-day visitors come for the state-of-the-art health care, therapy and luxurious relaxation in the Thermal Baths or the Pump Room. 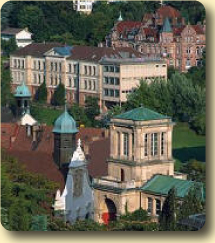 Baden-Baden is a wonderfully green town, and its position in the foothills of the Northern Black Forest makes this an ideal base for strolling, rambling and leisurely sightseeing. The famous vineyards of Baden provide another attraction, and for the sports-minded virtually every variety of activity can be found in the area, including golfing, riding, mountain climbing and even hot-air ballooning. We loved this hotel, from start to finish. The staff were friendly, helpful and efficient; we felt that they really wanted us to enjoy our stay. Buy a one day German Rail Länder Ticket and you could explore all the Christmas Markets in the state of Baden-Württemberg for one amazing price of: One passenger: €23 Extra person: €5 Unlimited travel, one price, through out Baden-Württemberg (see map above) for up to 5 people, 9 a.m. until 3 a.m. of the following day and on Saturday, Sunday and bank holidays from 0a.m. until 3 a.m. Valid on all local trains (Interregio-Express, Regional-Express, Regionalbahn, S-Bahn). Prices quoted are for 2017 ticket machine purchases only. 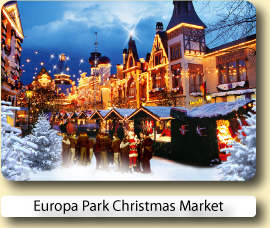 Book your hotel for the Baden-Baden Christmas Market with Expedia or Hotels.com.Both online reservation services will let you compare and book hotels at great low prices.